RETRO KIMMER'S BLOG: CINETOPIA INTERNATIONAL FILM FESTIVAL ANNOUNCES 2015 FILMS & EVENTS! CINETOPIA INTERNATIONAL FILM FESTIVAL ANNOUNCES 2015 FILMS & EVENTS! 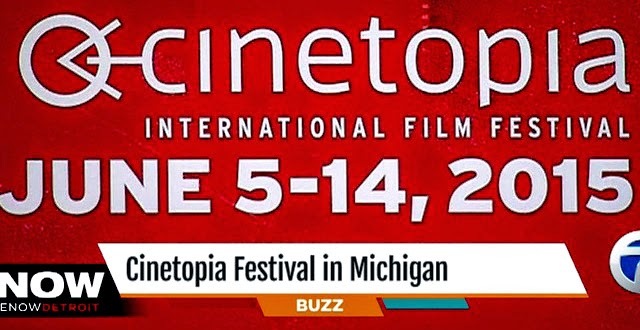 Cinetopia brings more 70 films to the Detroit/Ann Arbor area – representing the best feature-length dramas, comedies, and documentaries from the world’s best festivals, including Sundance, Cannes, Venice, Toronto, Berlin, SXSW and Tribeca. See the attached list of films and visit cinetopiafestival.org for full film descriptions, trailers and dates/times/locations of all screenings and events. In addition to the impressive array of films, curated specifically for Cinetopia by a dedicated team of programmers led by Michigan Theater CEO and Cinetopia founder Russ Collins and Elliot Wilhelm, Director of the Detroit Film Theatre series at the DIA, a majority of the screenings will include special post-film events, including presentations, discussion panels, and Q&A sessions with directors, writers, and stars of the films being presented. The festival will feature more than 100 screenings of 72 films, in an expanded array of venues throughout Detroit and Ann Arbor. Besides the Detroit Film Theatre, additional Detroit venues include the Arab American National Museum, Charles H. Wright Museum of African American History, College for Creative Studies, Cinema Detroit, The Redford Theatre, Senate Theater, and The Maple Theater. In addition to the historic Michigan Theater, Ann Arbor venues include The State Theater and UM Modern Language Building. Cinetopia will open on Friday, June 5th with a free outdoor screening on the DIA’s North Lawn of the stunning new animated film Kahlil Gibran’s The Prophet. The event is being presented in partnership with Midtown Detroit, Inc. and the film is being presented at Cinetopia as part of the Arab Film Festival (see below). 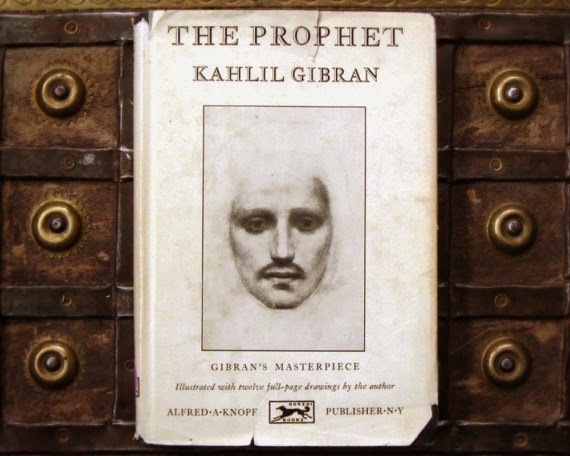 The Prophet, by Lebanese author Kahlil Gibran, is among the most popular volumes of poetry ever written, having been published in over 40 languages since its publication in 1923. The book's timeless verses have been given new form in this anthology film, directed by some of the world's foremost animators, among them Tomm Moore (The Secret of Kells) and Bill Plympton (Idiots and Angels). With a score by Gabriel Yared that includes contributions from Glen Hansard, and Yo-Yo Ma, the film is also a musical collaboration, a richly spiritual experience worthy of Gibran's lyrical book. This festive kickoff evening will begin at dusk (7pm) on the DIA North Lawn with a live jazz interpretation of Holst’s The Planets by the Mike Jellick Ensemble, followed by the screening at sundown (9:30pm). The Arab American National Museum’s Arab Film Festival, offering eight fascinating new titles from one of the most currently prolific and creative group of filmmakers on the planet, including the opening night film Kahlil Gibran’s The Prophet. All acclaimed on the international festival circuit, these films by both Arab World and Arab American artists are, with few exceptions, unlikely to reach American commercial theaters. Genres include drama, comedy and documentary, in both short-form and feature lengths. Each of these films is subtitled in English, making them accessible to all. The University of Michigan’s Orson Welles Centennial Symposium, presented by the University’s Department of Screen Arts & Culture and the UM Libraries, celebrates the richness of the libraries’ Welles archival holdings and brings together donors, scholars, students and media makers who have used the archives to give us a better understanding of the man and the artist. In honor of his 100th birthday, Cinetopia will screen several Welles films, some are rarely seen, and host post-film discussions in conjunction with the symposium. Detroit Voices, a short film competition which invites Michigan filmmakers to share their community’s point of view via film. The winners of the competition will be announced during Cinetopia and their films will be screened as part of the festival. The brainchild of local filmmaker Sultan Sharrief and launched in 2014, Detroit Voices has helped to recognize several talented artists with both screen time and cash awards. DEADLINE FOR SUBMISSIONS IS MAY 4! In addition to the film screenings and discussions, the festival includes several free outdoor film screenings in addition to the opening night festivities at the DIA. On June 11, Ann Arbor will host an outdoor screening of the summer film classic Jaws on Maynard at Liberty Street, free and open to the public. The Cinema Circus series of free outdoor screenings continues this year with eight events taking place from May 30 to August 22, bringing films to communities across Detroit and extending the Cinetopia experience. Cinetopia passes are on sale now at cinetopiafestival.org and include Festival Passes (offering unlimited film screenings, priority admission, opening night parties and other hospitality events), Movie Passes (unlimited film screenings and priority admission) and, for the first time, Student Passes for those with valid student identification (unlimited film screenings). A Personal Sponsorship Pass is also available for individuals interested in supporting special features like guest filmmaker appearances and post-screening panel discussions. Tickets to individual films are $12 for the general public and $9 for DIA, DFT, Wright Museum, Arab American Museum, and Michigan Theater members and go on sale for the general public on May 22 at cinetopiafestival.org. The Cinetopia International Film Festival would not be possible without the generous support of our title sponsor University of Michigan Health System and our presenting sponsors Knight Foundation, MGM Grand Detroit, Opportunity Detroit and Masco Foundation.